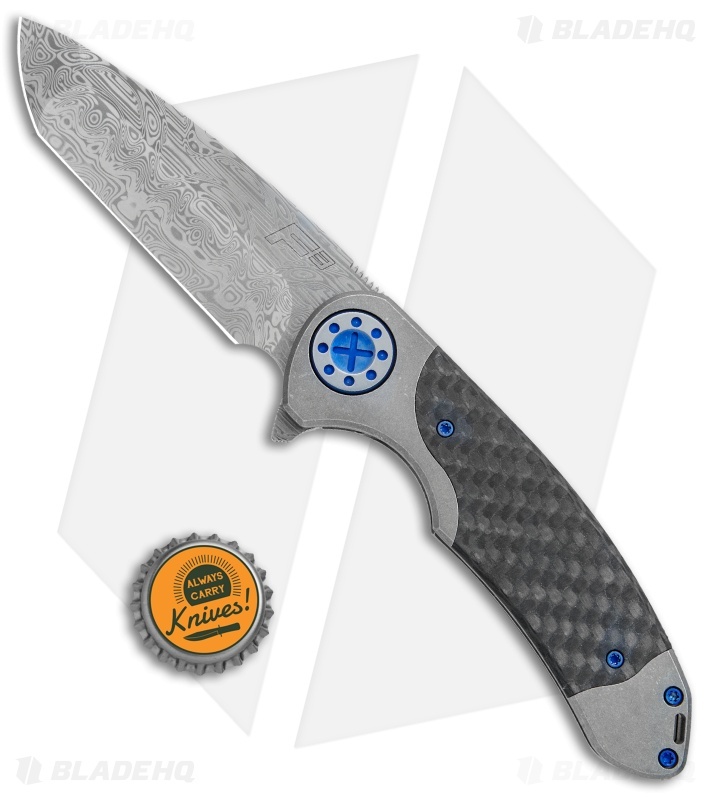 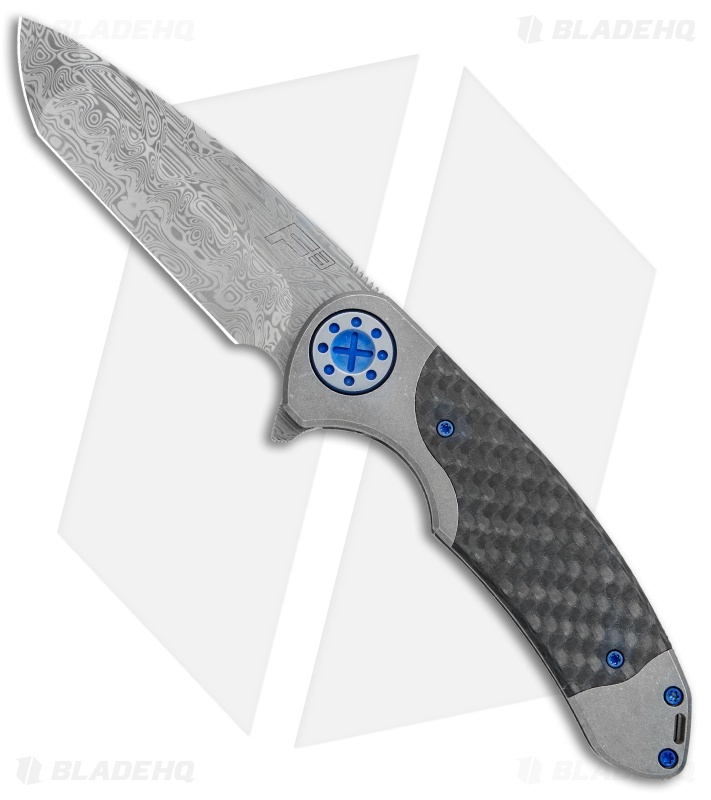 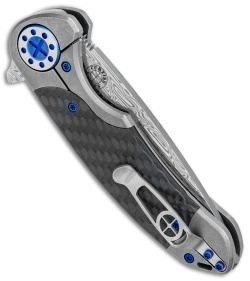 This Curtiss custom F3 Large folder features a titanium bolsterlock handle with carbon fiber inlays and blue accented hardware. Its compound ground blade is made from damasteel with deep grooved jimping. Blade deployment is responsive, smooth, and results in solid lockup. 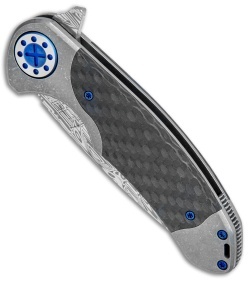 The titanium handle has a notched backspacer and is outfitted with a recessed titanium pocket clip.